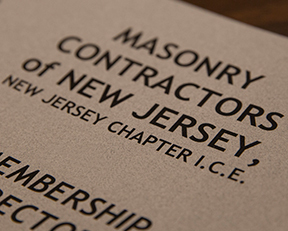 Our mission is to establish a high standard of business ethics, to promote the advantages of masonry design and union construction, to foster communication and collaboration with labor, owners and designers and to provide for the exchange of ideas among our members and the industry at large. 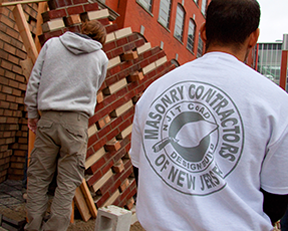 Masonry Contractors of New Jersey’s educational outreach activities with NJIT College of Architecture and Design are designed to support students in classroom-based education as well as hands-on experience that occurs outside the classroom in a construction project-like environment. 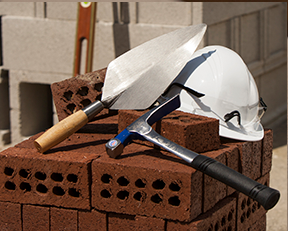 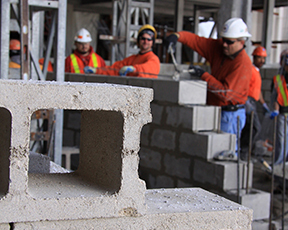 An Association of Union Masonry Contractors, Suppliers, Manufacturers, Architects, Engineers and other Organizations that provide a service to the Masonry Industry.